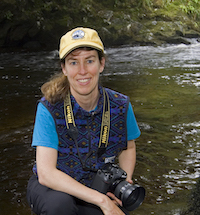 Amy Gulick is an award-winning nature photographer and writer, and a founding Fellow of the International League of Conservation Photographers. She is a columnist for Outdoor Photographer magazine, and her images and stories have been featured in Sierra, Audubon, and National Wildlife. Her book, Salmon in the Trees: Life in Alaska's Tongass Rain Forest, is the recipient of an Independent Publisher Book Award. Her work has received numerous honors including the Daniel Housberg Wilderness Image Award from the Alaska Conservation Foundation, the Voice of the Wild Award from the Alaska Wilderness League, and a Lowell Thomas Award from the Society of American Travel Writers Foundation. She lives on an island in the heart of the Salish Sea. To roam the farthest corners of the Earth, where wild creatures live, is a privilege reserved for the adventurous few. Cristina Mittermeier is one of those few. She dedicates her life to creating images that help us understand the urgent need to protect our wild places. Cristina first discovered her insatiable passion for the natural world, both above and below the surface, as a Marine Biologist working in the Gulf of California and the Yucatan Peninsula. From there, it didn't take her long to realize that she could make a bigger impact on how people see the world, and connect to it, through the lens of her camera than she could with data on spreadsheets. 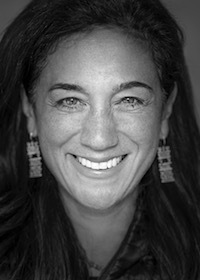 Today, Cristina is a National Geographic Photographer, Co-founder and Vision Lead of the conservation society, SeaLegacy, a Sony Artisan of Imagery, is recognized as one of the World's Top 40 Most Influential Outdoor Photographers by Outdoor Magazine, is the editor of 25 coffee table books on conservation issues, and is a sought-after Keynote Speaker and Presenter at events ranging from the Convention on Biological Diversity to the TEDx stage. Cristina, and her partner Paul Nicklen, were recently acknowledged at National Geographic's 2018 Adventurers of the Year. Her images focus on demonstrating the important relationship between human cultures, especially indigenous people, and biodiversity that sustain not only them, but all of us. "Conservation is a puzzle," she says. "Where many pieces have to fit together to make things work. For me, the choice of being a photographer means becoming piece of that puzzle. In the absence of that, for me, photography means nothing." Having worked in more than 100 countries on every continent in the world, Cristina builds a greater awareness of the responsibility that comes with being human. Her work is about the ethical imperative--the urgent reminder that we are inextricably linked to all other species on this planet and that we have a duty to act as the keepers of our fellow life forms. Cristina has three grown children, each pursuing careers in science and conservation. She lives on Vancouver Island, British Columbia, Canada, with her partner, National Geographic Photographer and Filmmaker, Paul Nicklen. Committed to putting his images to work for conservation, Kevin spent two years documenting threatened eco-regions around the world for the World Wildlife Fund and was the 1997 recipient of the Gerald Durrell award for Photography of Endangered Species by the BBC. He lives in Seattle, Washington, overlooking the Salish Sea, with his wife, author Martha Hill, former picture editor of Audubon Magazine.